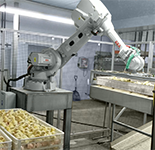 Hatchery Planning is a systems integrator for the complete line of ABB Robotics. ABB has the most extensive customer support network in the robotics industry. 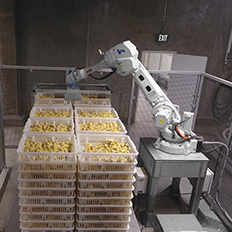 The use of robotics increase productivity, accuracy, and efficiency while reducing liability and risk of on the job accident claims. Robotics improve profitibilty, reliabilty and reduces risk. Numerous applications are available for any material handling need. Hatcher Tray Destacker, Hatcher Tray Restacker, Chick Box Restacker, Egg Transfer, Rack Unloading, and many more solutions to come.